The High Elves – high-fantasy divas that they are – love to take centre stage. In Total War: Warhammer 2 they are no different, having created the Great Vortex that lies at the heart of the campaign, draining the forces of evil and Chaos out of the world. Seem like a benevolent bunch, don’t they? Sure, that is what they want you to think, but they are also masters of scheming, espionage, and court craft. If you fancy your Total War experience with a dash of Game of Thrones, then this is the faction for you, and our High Elves guide will tell you all you need to know about them. High Elves not quite your thing? Perhaps our Dark Elves guide is for you instead. 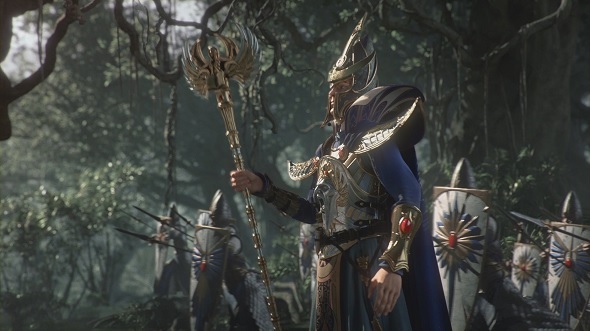 The High Elves, or Asur, inhabit the circular island paradise of Ulthuan, and while away their days reading tomes, practicing magic, and gossiping about who is consorting who. At the centre of this haven is the not so blissful Great Vortex, which each faction is seeking to exploit for their own gain. This is done through rituals, which progress each faction’s storyline. To conduct these, the High Elves require Way-Fragments, which you gather by completing missions and improving your settlements through the main building chain (so upgrading from an Elven Village, to Elven Town, to Elven City). One of the best sources of Way-Fragments are ritual resource sites – settlements that generate a large number of Way-Fragments each turn. These are denoted by a glowing Way-Fragment symbol. If you see such a settlement, make sure you go for it. 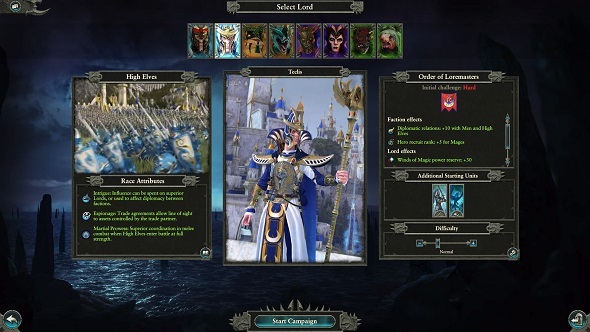 The High Elves’ trump card is ‘Influence’, which you gain by picking responses to unique dialogue pop-ups, and use to alter relations between any two factions in the game. This is useful to secure precious trade deals for yourself, say, or to play other factions against each other while you scheme up a way to stab them in the back. You can also spend Influence to hire Lords and Heroes with special traits; for 40 Influence, we got a mage who reduced local construction costs by 30%. We didn’t even send him into battle, but just left him in our capital. Another handy High Elf trait is Espionage, which enables you to see whatever your trade partners can. By using Influence to raise relations with the Bretonnians in the Southlands, we were able to broker a cascade of trade deals, and explored half that continent without leaving Ulthuan. What’s that? You thought the High Elves were above such devious skullduggery? Bah! You should also note the Elven Embassy building, which gives High Elves a bonus to income from trade tariffs. If you fancy getting filthy rich, spam these, ensure you are producing every tradeable resource you can, and pursue trade deals aggressively. Protect your reliability rating (so, don’t betray anyone), to give yourself the best chance of success in diplomacy. 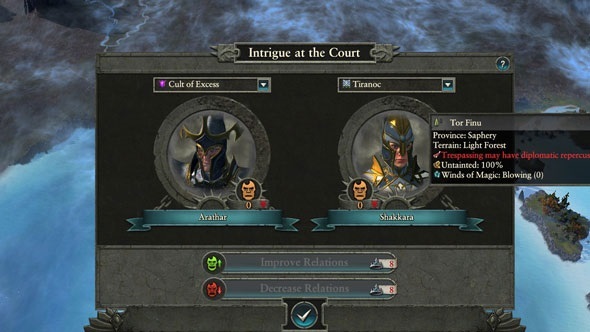 Climate is one of the curiouser new traits of Total Warhammer 2. While climate is mercifully stable in the Warhammer world (the perks of using magic over fossil fuels as an energy source), everyone has their preferences. While you can technically settle in any region, you will incur penalties to construction and recruitment times, public order, growth, and income if you try and settle somewhere your people consider ‘Unpleasant’. These penalties get especially severe if you settle somewhere ‘Uninhabitable’. The Asur like to inhabit Frozen regions, Savannas, and Temperate Islands, don’t enjoy Mountains, Magical Forests, Temperate, or Jungles, and suffer the most serious penalties in Wastelands, Chaotic Wastelands, or Deserts. 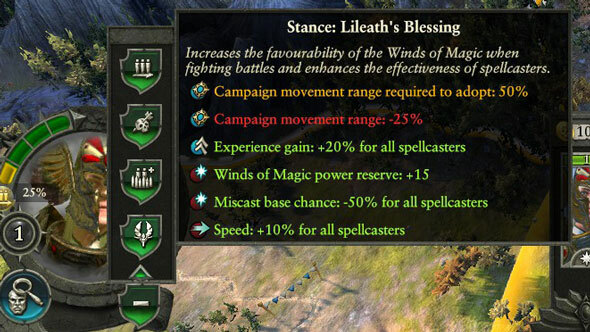 The unique army stance of the High Elves is Lileath’s Blessing, which slows down their campaign map movement, but boosts their spellcasters’ XP gains by 20%, Wind of Power magic reserve by 15%, speed by 10%, while reducing miscast chance by 50%. So if you have mages or Teclis in your army, this stance is worth whacking on just before you head into battle. 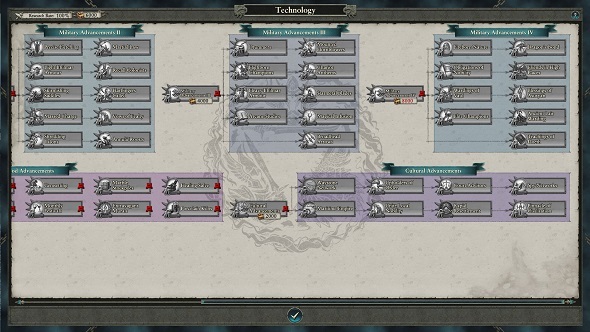 The High Elf tech tree is split into two branches – Military Advancement and Trade Advancement. This is a tad deceptive, because under Trade Advancement you will find a few handy military techs (such as Great Weapons, which increases weapon strength for some elite infantry by 5%). For the most part, however, Trade Advancements relate to empire growth. The final tier contains some real gems, like Maritime Empire, which gives you visibility of coastal areas across the whole world, and Rapid Resettlement, which reduces construction costs in recaptured settlements by 15%. The military techs are split into four stages, each one unlocked by a gateway tech that requires you to build certain buildings. In the early game, it is sensible to focus on techs that complement each other and combine to supercharge specific units, rather than spreading yourself too thin. You won’t be coming up against terribly diverse armies in the early skirmishes, so you don’t need to worry too much about diversity yourself, and the stronger units that you start the game with – like the Flamespyre Phoenix and Eagle Claw Bolt Thrower in Tyrion’s campaign – are powerful enough for the time being. So, for example, Spearwall and Naval Discipline go together nicely, because between them you improve the strength of Lothern Sea Guard (and Spearmen) by 10%, and their Leadership and Defence by 5. Spearmen will become obsolete, and though you technically don’t have a better archery unit, Sea Guard are one of the only ranged units in the game who are also strong in melee. They are almost as good at range as your dedicated archers, so we suggest getting them on-stream early, focusing on technology that buffs them, and continuing to field them until pretty much the end of the campaign. 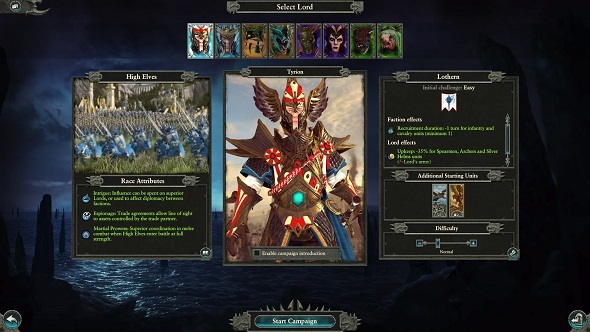 The High Elves offer a choice of two leaders for two distinct campaigns. You will take charge of one of the twin brothers, Tyrion and Teclis, who are descendants of the legendary Phoenix King and Chaos slayer Aenarion. The pair have contrasting views about how to protect the Great Vortex and how to defend the elven capital of Lothern from opportunistic Dark Elf invaders. Tyrion is a hands-on warrior, and gets perks relating to combat, campaigning, and army management, while Teclis deals with the magics. He can learn dozens of spells across several different lores, enabling nifty combinations such as Net of Amyntok and Comet of Casandora. Try it – it is devastating. He also gets a +10 boost to relations with High Elves and humans. 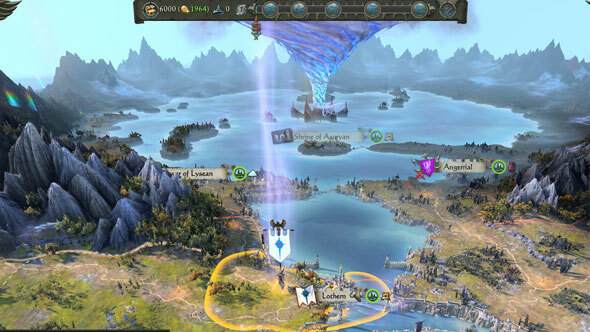 Prince Tyrion’s campaign sees you defending the High Elf homeland. It is among the easier campaigns, with the neat shape of Ulthuan making managing your fronts early on uncomplicated, and the surrounding High Elf factions offering ample opportunities for forming confederations. With that said, the different High Elf factions aren’t exactly drinking fine wines together and bantering over who has the pointiest helms and longest staffs. They are a fractious bunch, and if you don’t properly manage relations with them, you may even find yourself at war with your fellow pointy-ears. Teclis, despite being worn down by the curse of Aenarion (a sad family lineage story for another day), is an adventurer where his brother is a homebody, and he spreads the word of magic and fighting evil across the land. It is no easy task, so expect a rougher ride than with Tyrion. The campaign begins on the Turtle Isles on the west coast of Lustria, and throws you into almost immediate conflict with the Lizardmen and Dark Elves. A word of advice here is to try and take the ritual resource site of Tlaxtlan from the Lizardmen quickly, which will start raking in those precious Way-Fragments and give you an edge in the Vortex race. 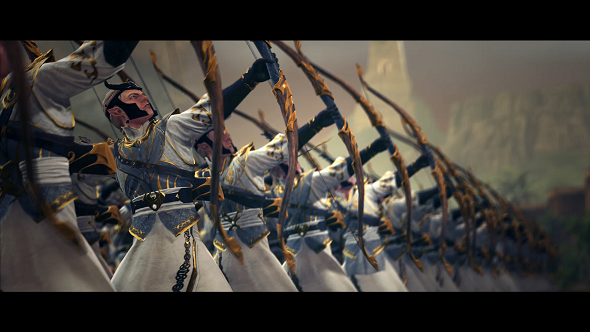 The High Elves are a disciplined, flexible army with a good balance of units in the way of infantry, cavalry, and some seriously impressive air contingents. Spearmen are the earliest units you have access to, which is a good start, as these guys have some of the best defensive stats among first-tier units. It is worth unlocking the rangey archers as quickly as possible, too, so you can have your classic line-up of spears in front and archers behind. An excellent second-tier unit for more Machiavellian military strategists are the Ellyrian Reavers. These shock cavalry have the added bonus of Vanguard Deployment, which means that at the start of battles you can place them anywhere on the field outside the enemy’s deployment zone. Stick them in some woods while the enemy marches towards your main army, then once they get stuck into battle, crash into them from behind and watch the bodies fly. Classic. 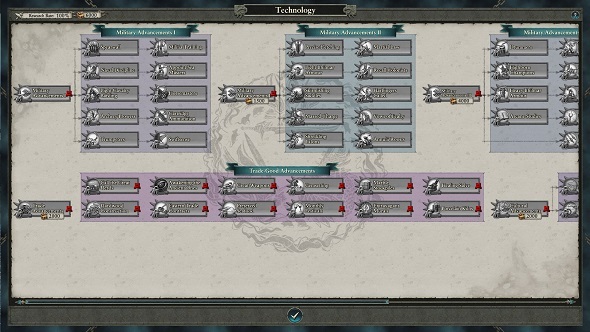 Later on, the High Elves get the obligatory upgrades to their earlier units. Dragon Princes are arguably the best shock cavalry in the game, while the much-feared tabletop trifecta of elite infantry – Swordmasters, White Lions, and Phoenix Guard – are worth your close attention. Swordmasters are devastating anti-infantry damage dealers, White Lions are mobile hunters with great defence against ranged attacks, and tier-five Phoenix Guard are powerful anti-large tanks and one of the best infantry picks in the game. 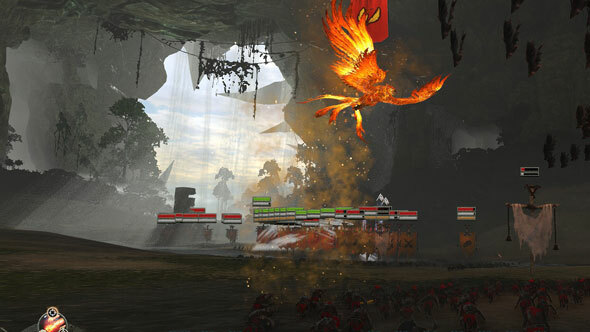 One of the biggest tactical boons comes with the flappy flying units, which include giant eagles, dragons, and phoenixes. You unlock both the Flamespyre Phoenix and the Frostheart Phoenix simultaneously, and having them them rain their respective elements down on enemies like infantry and cavalry before your melee charges in is sure to demoralise them. Sprinkle enemies with ice attacks from the Frostheart Phoenix from to slow them down and soften them up, and then, while they are vulnerable, rain fiery hell down on them from the Flamespyre. After that, for the coup de grace, you can swoop into the target unit with both birds. The trade-off for all this is that the High Elves only get one piece of artillery, and don’t have any ground-based monsters, therefore lacking the ability to cause serious fear and disarray among enemy units. That aside, they’re a discerning choice for those who believe war should be fought with style, panache, regal robes, and wing-crested helms.